ONE IS TOO MANY -- Even one drowning is far too many! 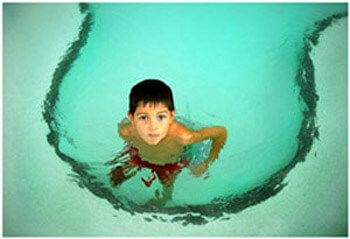 Kids in pools need constant vigilance. Even one moment of distraction can mean a life lost. As the late Kerry Martin has stated: 100 percent of drownings are preventable. Teach your children to swim. And, watch them every moment they are in or near the water! As most Arizonans know now, State Treasurer Dean Martin has dropped out of the Arizona governor race. In a recent news release, he suspended his campaign for governor of the State of Arizona. There were political reasons too, of course, but the most poignant was Martin�s stated desire to focus on the charitable work of the Martin Charities, established in memory of his late wife Kerry and son Austin Michael Martin. He wants to continue her spirit of service in water safety and financial literacy. 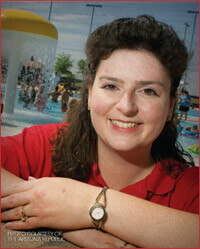 The late Kerry Martin devoted many hours to helping children learn to swim. She always said child drownings are 100 percent preventable through education and parental supervision. Mrs. Martin was a board member of the Downing Prevention Coalition and worked tirelessly to raise funds to support water safety programs. The Foundation welcomes your ideas and asks you to submit them to the site under the volunteer link. Editor�s Note: We at AZBW/WOT thank the Martin family for their public service and commitment to one of our biggest concerns: water safety.